First episode of recurrent mood disorder or distinct subtype of late-onset depression? 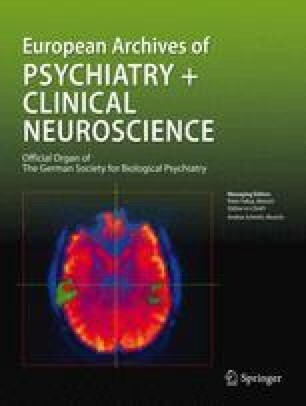 Of 687 consecutive inpatients and outpatients with primary major depressive illness, 213 (31%) were categorized as single episode (SE) by DSM-III-R criteria. Systematic evaluation of familial, sociodemographic, temperamental and symptomatological characteristics permitted the nearly equal division of SE into two categories: a. early-onset (<45 years) “first episode” superimposed on either depressive or hyperthymic temperaments (against a bipolar and unipolar familial background), more severe depression, higher rates of suicide attempts, greater anxiety-somatization and psychotic tendencies, and with the potential for recurrence; b. late-onset (≥45 years) isolated episode (against an unipolar familial background) with greater life stressors, pursuing a protracted course with less likelihood of recurrence. In most other respects, early-onset SE was intermediate between recurrent major depression and lateonset SE. The implications of these findings for the now largely abandoned category of “involutional melancholia” are discussed. Work partially supported by a grant of Italian C.N.R.